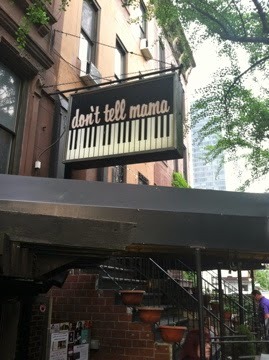 Amy Beth Williams appeared at Don’t Tell Mama, the venerable cabaret on West 46th Street’s Restaurant Row, in a new show entitled Crazy to Love You. The Leonard Cohen song of that name opens the act and deftly conveys the theme of love lost for her 17-song set. The numbers are sometimes saucy, sometimes sweet, both modern and classic, but always conveyed with sincerity and a crystal-clear coloratura voice that can be powerful or subtle, depending on what is required of the material. The 2012 Bistro Award winner was at the top of her game in her recent act, whether singing “Autumn Leaves” in French and English or the clever “The Art Teacher” by Rufus Wainright. Her renditions of “That Old Feeling” and “I Cover the Waterfront” were extremely poignant, the latter 1933 tune in a medley with the 2009 “When the Wind Blows Up.” Janis Ian’s “She Must Be Beautiful” was especially heart-rending as interpreted. 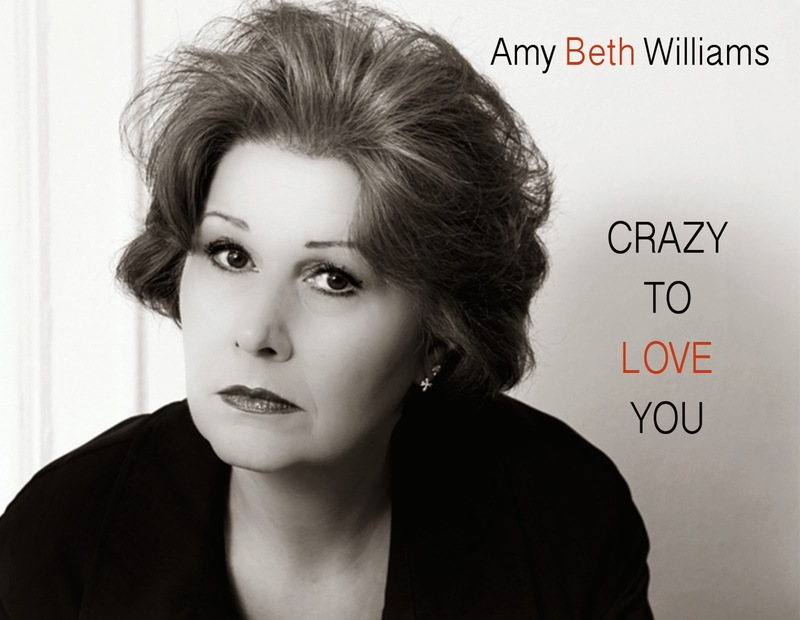 Amy’s gamut of emotions ran from camp hilarity to stirring sympathy throughout Crazy to Love You, and she was received enthusiastically by her audience that included dynamic NYC cabaret veteran (also a Bistro Award winner) Vickie Phillips (returning to Don’t Tell Mama May 24, June 7 and two dates in July). The set included songs by Irving Berlin and by The Puppini Sisters, by Johnny Mercer as well as Melanie, mostly with great success. I felt that only “Can’t Smile Without You,” popularized by Barry Manilow and arranged very slowly here, misfired because it felt burdened by such gravitas. It’s best bouncy. Largely, the show was wonderfully arranged, however, by music director Darryl Kojak who accompanied Ms Williams on piano while Will Holshouser provided hauntingly soulful accompaniment on accordion. Bistro and MAC Award winner Tanya Moberly directed with aplomb, noticeably strengthening Amy’s stage presence. Next time, a little more patter might matter as Amy is charmingly disarming when she engages us between musical numbers.